During the summer, we tend to gravitate towards lighter paint colours, breezy fabrics and bright décor. As we say goodbye to the warmer weather, it’s time to clear out the summer décor and focus on the warm, wonderful colours and accents of fall. Wood, when used as an architectural feature automatically adds a depth of warmth and richness to a room. 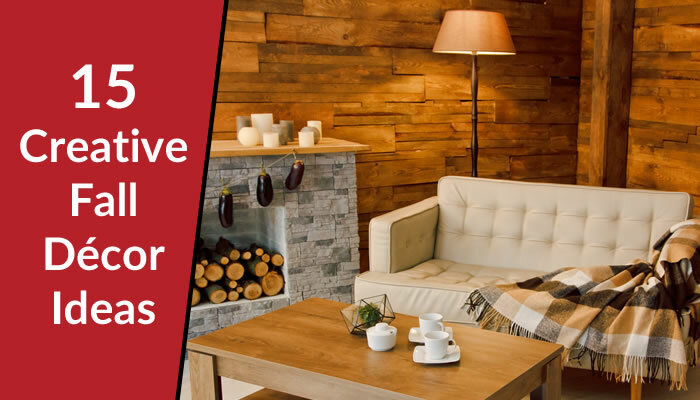 Think about adding a wood accent wall to your room. There are many styles and colours to choose from. The big box stores even sell panels that look like reclaimed wood. Place fruit in wood bowls, add some wooden candle holders to a table top, or stack logs in an unused fireplace. Place dried twigs and branches in a vase. Use deep orange, maroon or golden coloured chrysanthemums in your planters at the front entrance. Add a wreath with lush greens and berries on your front door. Think maroon, brown, pumpkin and earthy green. Painting is an affordable way to create a comfy fall feeling. Need help choosing paint colours? Read my earlier blog. Many people entertain more in the fall and winter months. Use leaves, plants and pumpkins adorned with ribbons or twine for a farmhouse feel. Nothing says fall décor like a tartan blanket, pillows or bedding – just use these bold patterns sparingly or they can overwhelm a room. Instantly boost coziness with rugs of all sizes featuring rich browns, purples and reds. An autumn themed mat at the front door will set the tone. Throw blankets look beautiful on beds, couches and armchairs and are perfect for chilly nights when you want to warm up your toes. There are so many fall décor ideas around setting the perfect table. Get ready for entertaining with warmly-toned tablecloths, table runners, placemats and napkins. Don’t forget the centrepiece! Place battery operated votives in amber, green or red holders around the house to create a soft glow. Also, the addition of lamps make any space look inviting and bring in more light during those shorter and darker fall days. Create the perfect reading corner with a comfy chair, lamp, foot stool and blanket. Whether it’s a firepit, blankets on Adirondack chairs or a curtained cabana, you can create an outdoor space to use in the fall. Swap out light-coloured towels and bathmats for darker hues. Add artwork, guest soaps and candles that tie in with the fall theme. pretty bowl with crisp green apples, mini pumpkins or decorative corn is one of the fastest ways to bring autumn décor into the kitchen. Burn cinnamon or apple pie scented candles. Purchase an aroma therapy diffuser and add an essential oil to provide a relaxing scent throughout your home. Look for art that fits your home and personality, whether that’s a richly-coloured oil painting by your favourite artist or a chalkboard where you write inspiring or fall-themed quotes. There are so many easy and affordable ways to welcome the fall season into your home. 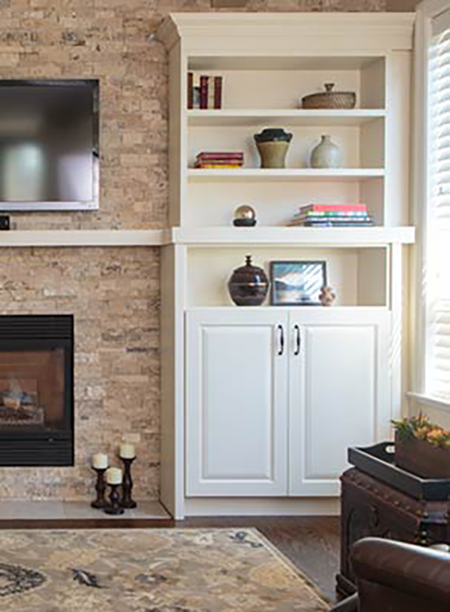 With these fall décor ideas and your imagination, I’m sure you’ll create a space everyone will love. Need some help? 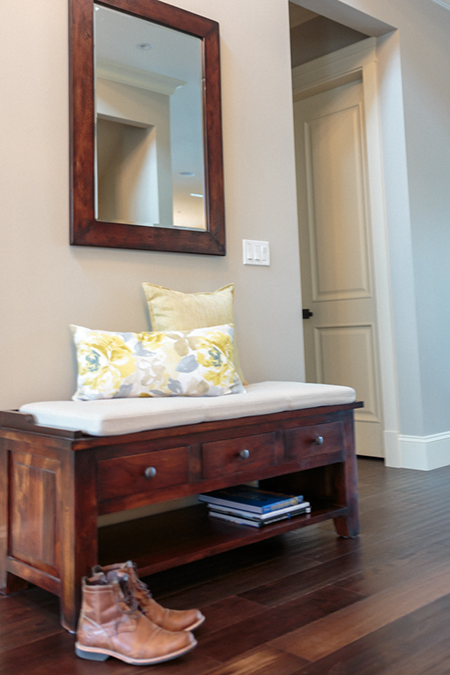 A Stroke of Genius is a full service Interior Decorating Company in North Vancouver. Under the direction of Principal Interior Decorator Barbara Aylesworth, we can help you with choosing fall bedding, drapery, artwork, paint, custom millwork and more. Contact us for a consultation today!